The properties are an excellent opportunity for a commercial venture with accommodation consisting, in the larger villa, of a large kitchen with separate lounge/dining area, one double bedroom, two twin bedrooms, family bathroom, guest toilet and stairs leading to large dining/lounge area , kitchen, sun terrace, double bedroom, single bedroom and family bathroom. Outside is a large storage area and separate garage. The second detached property has accommodation to include a kitchen, lounge/dining area, double bedroom on the lower level and on the upper level a lounge, two further double bedrooms, family bathroom and separate toilet. The main property benefits from oil central heating. 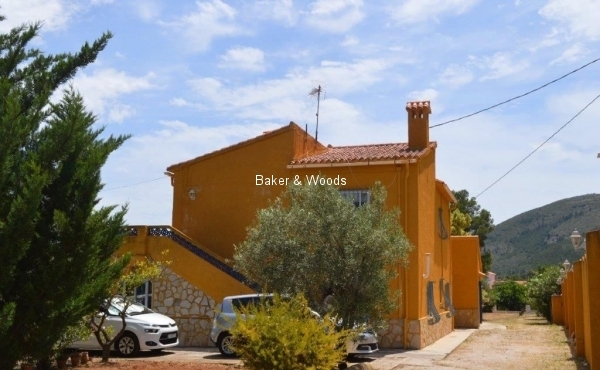 The properties are located in a very private location with gated driveway with ample parking for a fleet of cars and are within a 10 minutes’ walk to the village of Parcent and would make an excellent opportunity for a commercial venture.